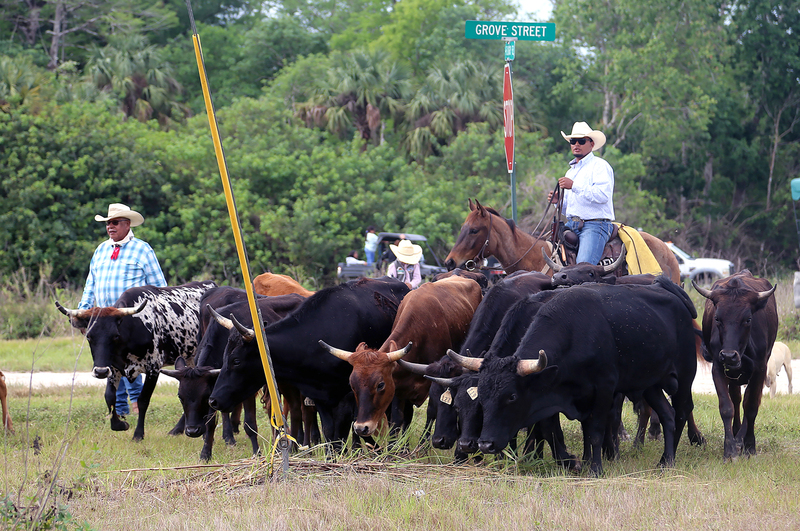 BIG CYPRESS — The Seminole Tribe has a long line of cattlemen and cattlewomen in its history. And there are still families in the Tribe who are involved in the industry (which originated on the Brighton Reservation). 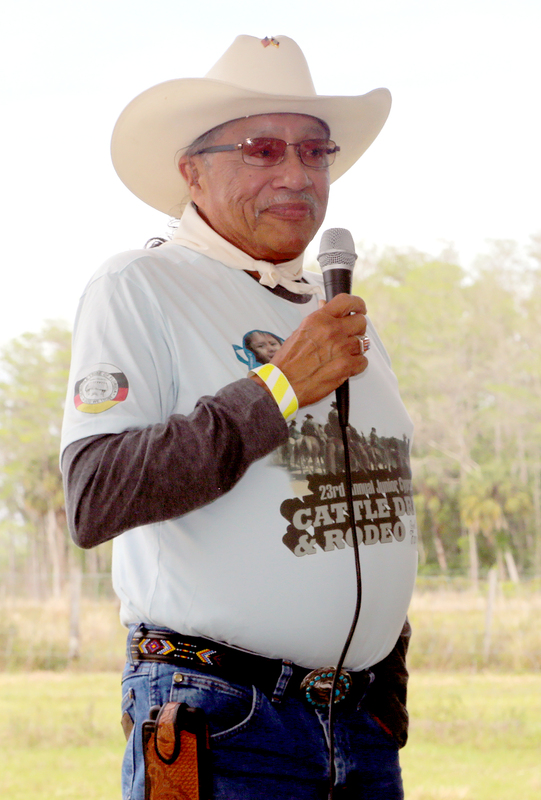 Cattle operations are still one of the enterprises of the Seminole Tribe of Florida Inc. to this day. 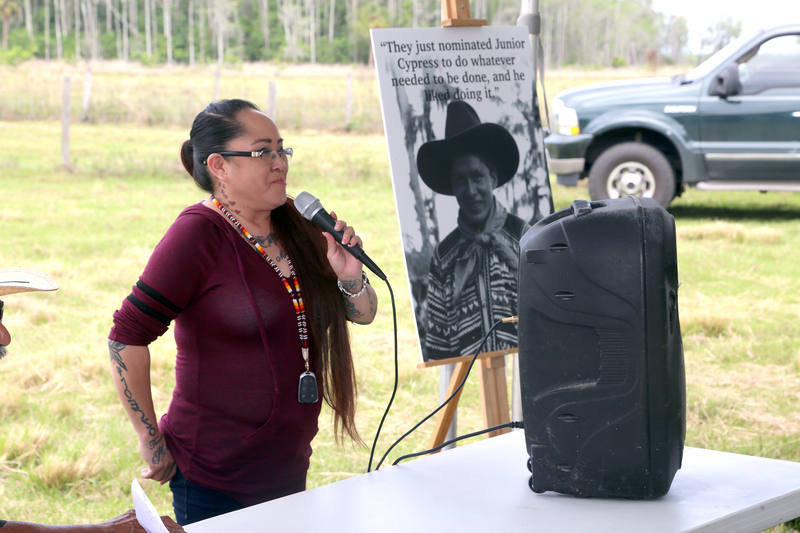 At the 23rd annual Junior Cypress Cattle Drive & Rodeo in Big Cypress on March 16 Tribal members honored and remembered those involved in cattle operations past and present. 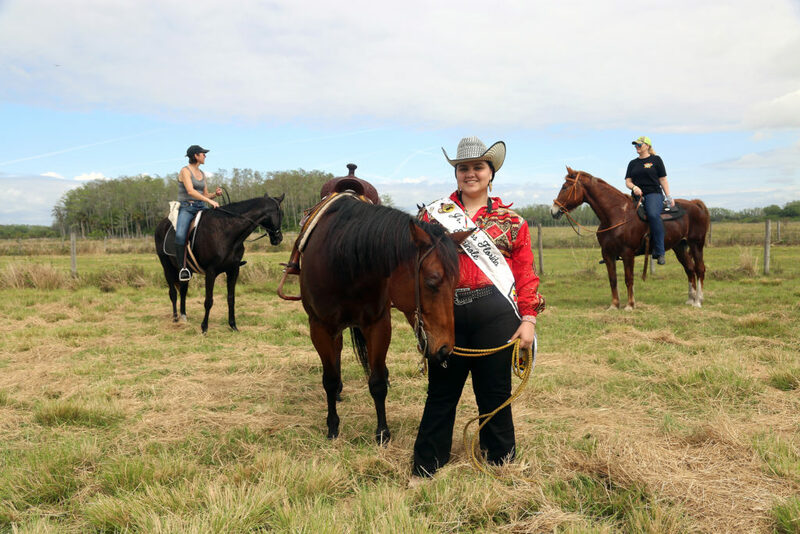 On a calm and warm Big Cypress morning, Councilman Mondo Tiger and others waited next to a pen of about 12 young and restless cows for the horses and dogs to arrive so the cattle drive could begin – the first event in a day full of action. The pen was set up about two miles west of the turn off to the Billie Swamp Safari where registrations took place, t-shirts were handed out and people gathered early to prepare for the day. 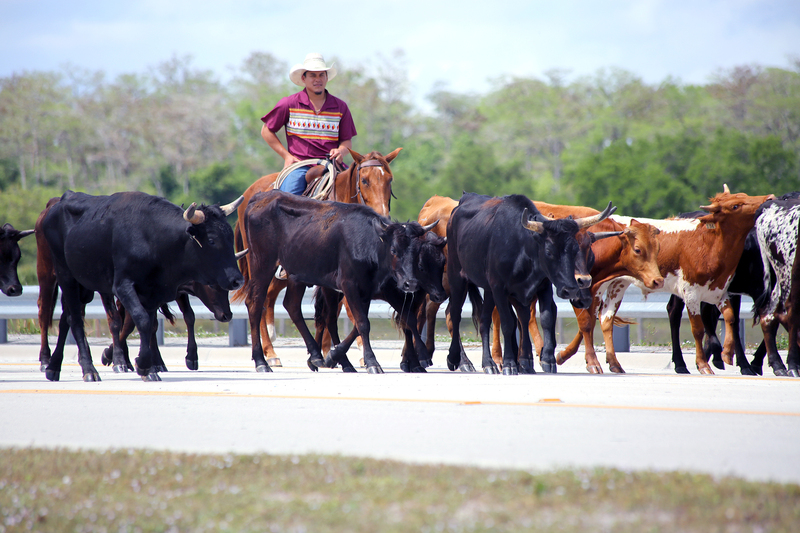 The cows were soon released for an approximately six-mile journey to the Junior Cypress Rodeo Arena, flanked not only by the cattle drivers, but Tribal members on ATVs and in other vehicles, as well as police and emergency services and a Billie Swamp Safari buggy with a full load. The cattle drive took place to honor two trail bosses – the Rev. Frank J. Billie – who passed away in 2008 at 96 – and Joe “Benji” Osceola. Both are members of Wind Clan. At a stop off point on the way to the arena, families and friends gathered under a tent while the horses and cattle rested and got some water. Moses “Bigg Shot” Jumper Jr. presided over a ceremony during the rest stop. 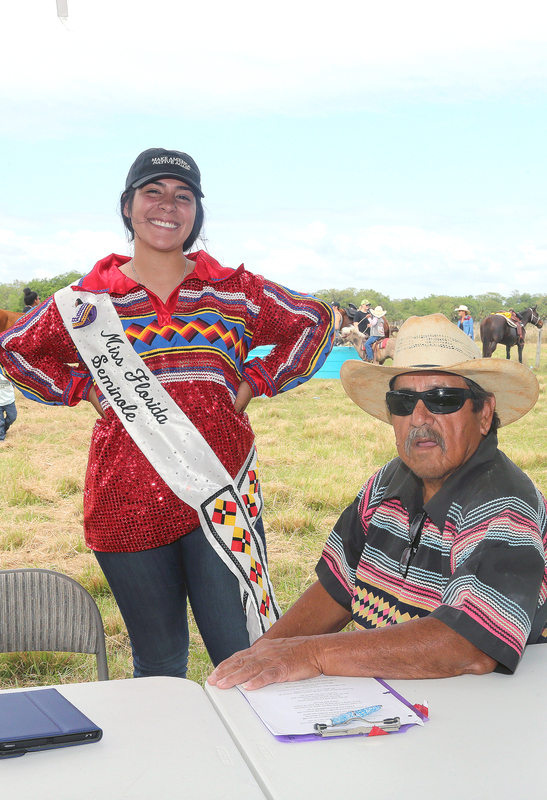 The Tribal leaders spoke and they were joined by Miss Florida Seminole Cheyenne Kippenberger and Jr. Miss Florida Seminole Clarice DeMayo. President Mitchell Cypress reminded attendees that it was Billie who helped originally organize the Tribe and its Constitution. He was also the Tribe’s first president and later a pastor at the Big Cypress New Testament Church. Councilman Tiger, himself a cattleman, said Billie was someone who he was raised around and who taught him how to ride horses. One of Billie’s granddaughters – Claudia Doctor – recalled her grandfather as a generous man who would donate a cow to an area church every year for Christmas. She said he was also outspoken. 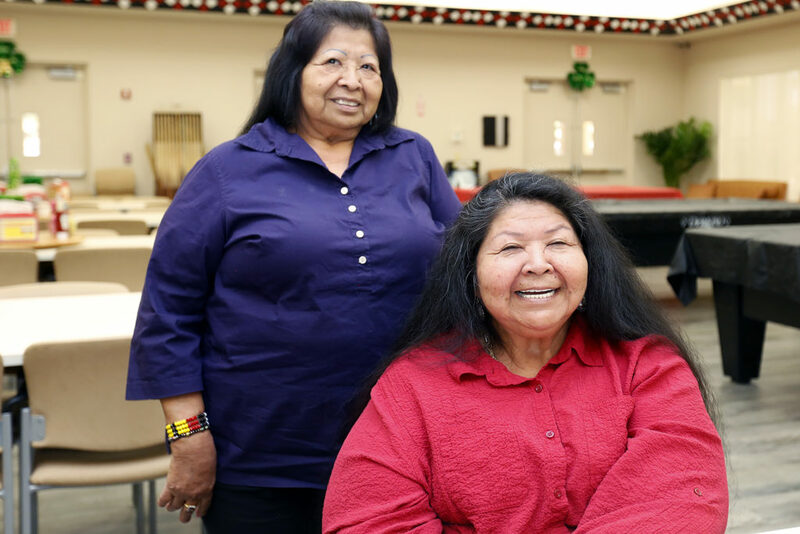 Another of Billie’s granddaughters – Betty King – said she was grateful for her grandfather and it was good to remember the Tribe’s elders and honor them. Both remembered that unlike many cattle owners who would round up their herd in a more traditional way, Billie was known for honking the horn on his Jeep while keeping feed in the back. “The cows knew to gather around when he did this,” King said chuckling. “It’s something that we need to keep going and something that we can’t take for granted,” Rep. Frank said, noting that the tent they were in was on one of Billie’s former pastures. “Most of the elders knew that for true sovereignty you have to be able to feed yourself, you have to be able to feed your people. With the cattle program we became organized and they knew we had to feed ourselves,” he said. Rep. Frank said the Seminole Tribe is one of the few that grows enough protein to feed its own people, if necessary. “We have to keep growing more food. 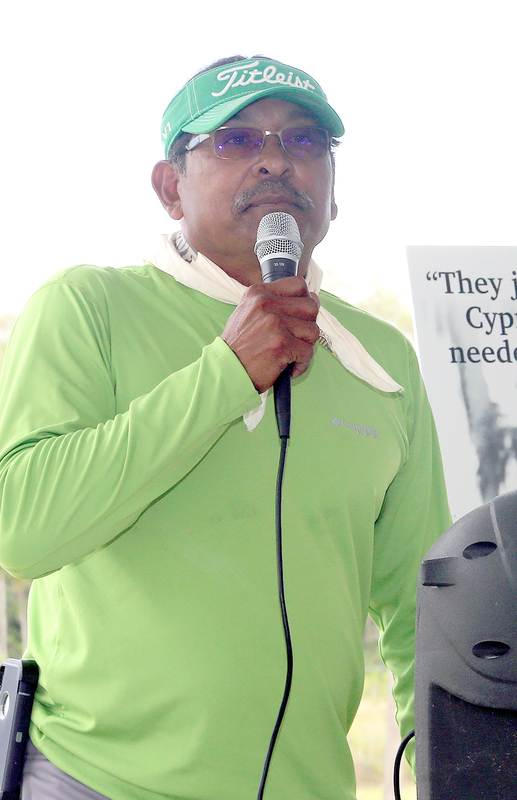 Ultimately with the way things are going and the loss of acreage to agriculture all around the world, we have to grow to produce enough here to feed our citizens and I’m hoping that our youngsters take that to heart,” he said. 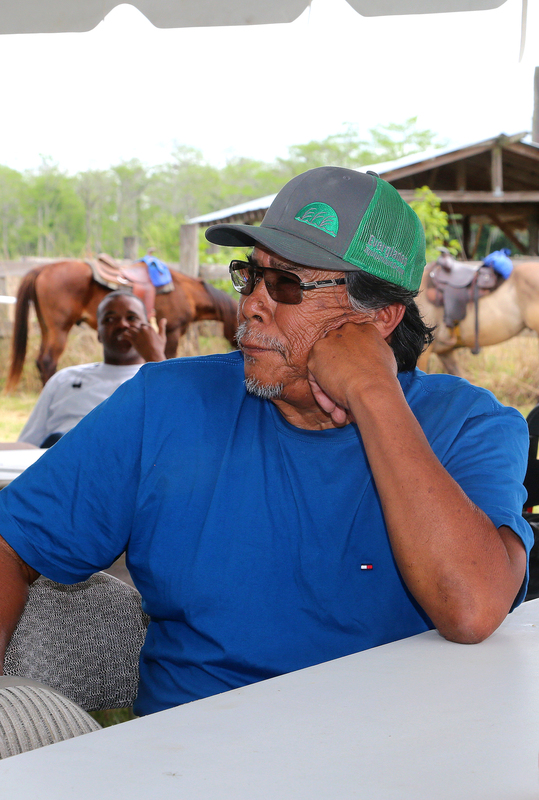 Longtime Seminole cattleman and owner Joe “Benji” Osceola sat in the audience with several members of his family. Paying tribute to him was his daughter, Janet Osceola, and his niece, Geraldine Osceola. Geraldine Osceola remembered fondly growing up with her “Uncle Joe” with lots of early mornings and cooking duties. Other Tribal leaders recognized Osceola. Rep. Frank said he is one of the mainstays of the Tribe’s cattle program. After dignitaries and family members spoke, the second half of the cattle drive commenced. Before the cattle made it to their final stop at the arena, an Eastern Indian Rodeo Association kids rodeo was beginning. The professionals started later and went on through the evening. For those who had worked up an appetite, a barbecue dinner was offered.